EU industry chief Bienkowska: "The issue of compensation goes beyond the difference in the legal set-up between the U.S. and the EU." BRUSSELS (Reuters) -- European Union Industry Commissioner Elzbieta Bienkowska is calling on Volkswagen to compensate European customers hit by the company's emissions scandal in the same way as U.S. customers. Volkswagen Group of America has promised goodwill compensation worth $1,000 each to tens of thousands of vehicle owners who bought VW cars with manipulated software that have NOx emissions far above officials limits. Bienkowska has written to VW CEO Matthias Mueller demanding comparable compensation for European consumers. VW officials have said they will repair vehicles in Europe to remove illegal software, but have no plans to pay consumers compensation, arguing they have suffered no loss. 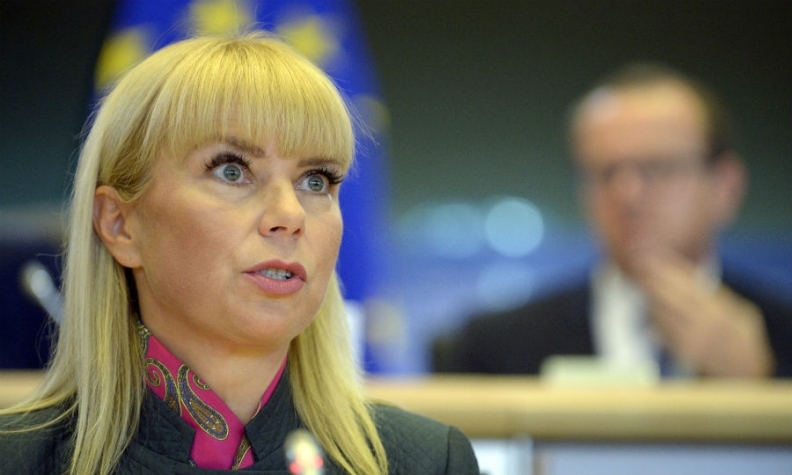 In a letter dated Jan. 15 seen by Reuters, Bienkowsksa said: "I would like to ask you to reconsider your stance regarding compensation and reflect on the ways to offer compensation also to the European consumers." Germany's Justice Minister Heiko Maas also criticized unequal compensations for VW's U.S. and European customers. Maas had already a few weeks ago said that he considers an unequal treatment of U.S. and German, European customers "unacceptable," a ministry spokesman said today during a regular news conference. Bienkowska is also asking VW for detailed information on cars affected by the automaker's emissions rigging. The commissioner has asked Mueller for the precise number of affected vehicles per member state and for technical details on "corrective measures." Bienkowska wants information on what VW is doing to recall vehicles across the 28-member European Union and how it will ensure consumers comply with recalls. Correspondence has been back and forth between the Commission and Volkswagen since the emissions crisis erupted in September. VW has repeatedly asked the Commission for more time and Mueller will meet Bienkowska in Brussels on Thursday. VW has admitted that up to 11 million diesels models sold worldwide by its VW, Audi, Skoda, Seat and VW commercial van brands may have engine management software that was manipulated to fool official tests for harmful NOx emissions. About 8.5 million cars in Europe are affected and VW is this month beginning repairs of affected cars in one of the biggest recalls in European automotive history. VW said in November that it will not offer compensation to European customers but will tailor a package of measures to ensure that owners of cars are inconvenienced as little as possible when their vehicles are recalled for fixes to make them compliant with EU type approval regulation. In Britain, London law firms have said thousands of British consumers had registered interest in potential lawsuits and lawyers say their claims hinge in part on whether cars can be fixed and performance is unaffected. One British lawyer, speaking on condition of anonymity, welcomed Bienkowska's stance, saying the response of national governments had been "apathetic." "The difference of response between the EU and U.S. has allowed VW to run a two-horse race," the lawyer said. Volkswagen has made a provision of 6.7 billion euros ($7.3 billion) globally for the repair process. Apart from the repair bill, VW has the prospect of massive fines and litigation. In the United States, VW faces fines of up to $46 billion for allegedly violating environmental laws. The European Commission says it is working to strengthen the European regulatory regime to prevent a repeat of the VW emissions scandal. At the end of this month, it is expected to announce a proposal to give the Commission powers to recall vehicles found in breach of EU emissions standards and fine those responsible. Many members of the European Parliament say there is a clear conflict of interest and support Commission plans for a more independent system. They predict, however, there will be tough resistance from member states and the vehicle industry to the proposed draft law, which could mean it is diluted during the lengthy EU legislative process. Germany has long worked to protect its car industry, weakening EU legislation that could damage industry profits. EU sources say Germany is expected to continue negotiating to minimize the damage. It has won backing from other governments fearing job losses if they hurt a sector that provides jobs for 12 million people and accounts for 4 percent of the European Union's gross domestic product, according to Commission data. Slowly, however, political and public pressure is growing. Lawyers have begun private litigation against Volkswagen, while the European Parliament has set up a committee of inquiry into why EU regulations failed to prevent Volkswagen's use of illegal software.